Iuliana, Adina and Alexandru were forced to witness the most tragic of their life's events- their mother abandoned the family, leaving the father to take care of them alone. However, after having suffered a stroke and being admitted to the hospital for a prolonged period of time, he was under no circumstance able to provide for his family and take care of their wellbeing. The doctors were guarded in giving any chance of survival. A relative of the family contacted us upon observing such a situation and asked us to intervene and offer the children a chance of growing up in a safe and proper environment. While the older children were either married or working in different areas, the little ones were on the verge of abandoning school and becoming orphans with no expectation whatsoever of having a normal existence. We visited the family's house and hastily determined that they needed a helping hand. 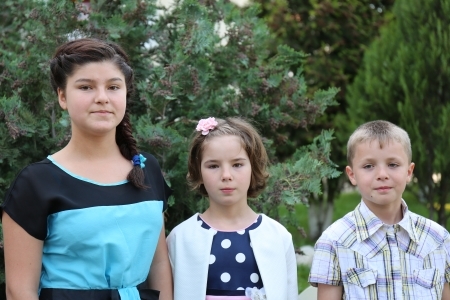 Iuliana (born in 2004), Adina (born in 2006) and Alexandru (born in 2009) are now integrated in our center. 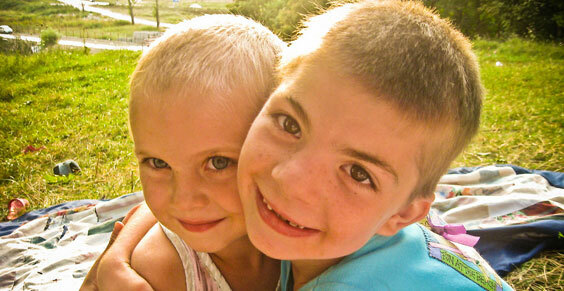 Once arrived at Hand of Help, they were evaluated and housed in one of our orphanage home groups. They are living together in the same space and could not be happier. The deteriorating health of their father continues to bear a lot of weight on these little shoulders. Their desire is to see him well and able to live life as normal as possible. School was a challenge for them as they had missed their classes for days on end during their family crisis. 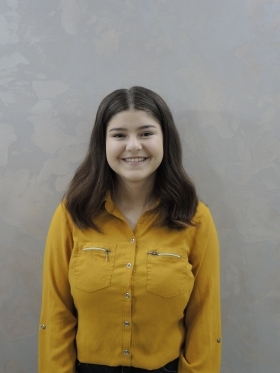 During her first months at Hand of Help she was able to recuperate a lot of the classes she couldn't attend at home. She loves reading and oftentimes finds herself browsing through numerous books that exceed the requirements in school; this helps her develop new abilities and prepares her for all future studies. Please keep Iuliana in your prayers as she continues the journey toward adulthood. The traumatic events in her life left deep wounds but under our Lord's wings, pain and suffering are given a different meaning.